MilesTek, a leading manufacturer and supplier of products designed to address military and avionics applications, announced today that they have launched a new line of military grade fiber cables and connectors designed to address high speed fiber connectivity in harsh military and industrial environments. MilesTek’s military grade fiber cable series consists of IP67-rated assemblies in both multimode and single-mode variants and LC, SC and ST assemblies built with impact and crush resistant cable in OM1, OM2 and OM3 styles. MilesTek’s new line of military grade fiber connectors consists of MIL M83522 fiber ST-style connectors, couplers and dust caps that offer superior performance and durability. “These new fiber cables and connectors are purpose built to address military communication applications in unforgiving environments. We offer, off-the-shelf, both single-mode and multimode options to address almost every connectivity scenario,” said Mark Hearn, Product Manager. 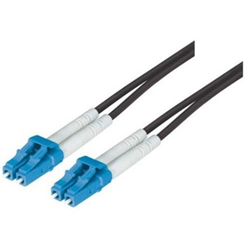 These new military grade fiber cables and connectors are in stock and available for immediate shipment. MilesTek designs and manufactures a broad range of MIL-STD-1553B products to address Military Avionics, Aerospace, Industrial and government applications. In addition to a wide selection of off the shelf products, MilesTek can custom manufacture cable assemblies and harnesses. MilesTek is headquartered in Denton, Texas and is AS9100C and ISO9001:2008 certified. MilesTek is an Infinite Electronics company.